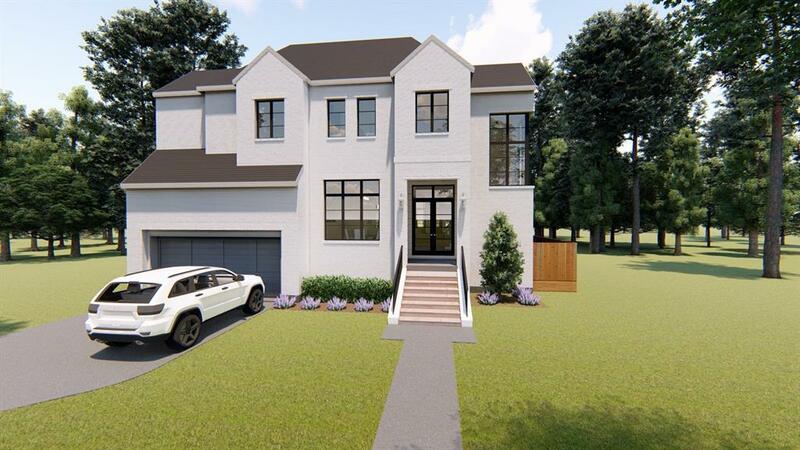 Exceptional Design: Magnificent Bellaire new construction to be built by Bentley Custom Homes: On a 46,000 SF lot Inside the Loop at the historic gates to the City. Fabulous floor plan (see it attached) makes for great entertaining. Vast 1st floor living areas (over 6,000 SF) include Master suite down, Study and another downstairs bedroom, formal living & dining rooms, Chefâ€™s kitchen open to the Family Rm. 2 sets of stairs up to the Game Rm, Media Rm, large Gym,3 more bedrooms. 3-car garage. Customize now! This large LOT is also available by itself as-is for $1,300,000. 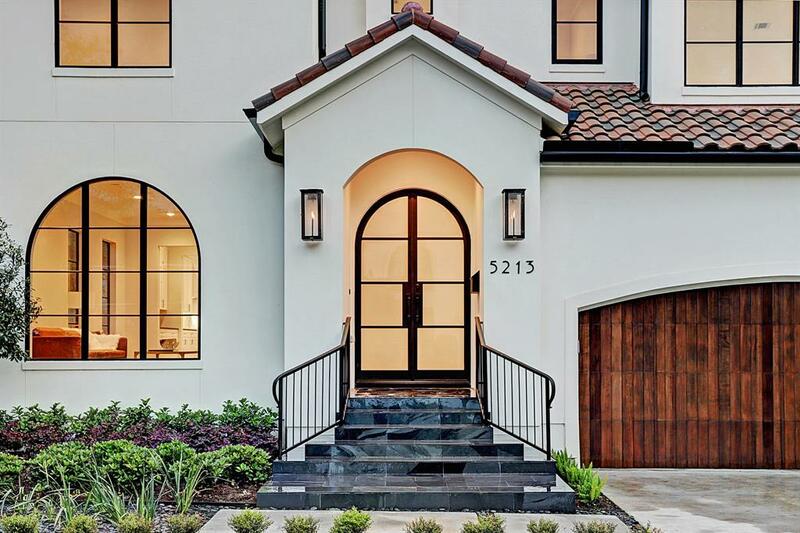 Stunning Bellaire 5 bedrooms/ 5.5 bathrooms, new construction build by Brookstone Homes on a gorgeous tree-lined esplanaded street! 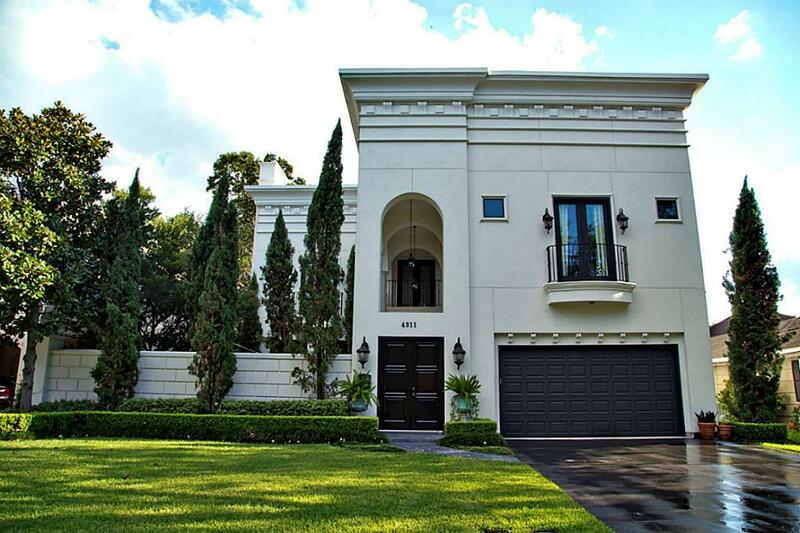 Sleek stucco and brick exterior with metal roof and oversized windows. The main floor includes high ceilings, wet bar, study, powder room, expansive open concept kitchen and living space with views to the beautiful patio and yard, dining room, front and back staircases, and guest suite. The spacious kitchen features a grand, oversized island and has stainless Sub Zero and Wolf appliances. Bathed in natural light, this home was designed for family living as well as entertaining. Upstairs features the master suite with sitting area, gorgeous marble bath, huge walk-in closet, large light filled game room and three secondary bedrooms with en-suite baths. The large backyard has room for a pool and includes a covered summer kitchen. 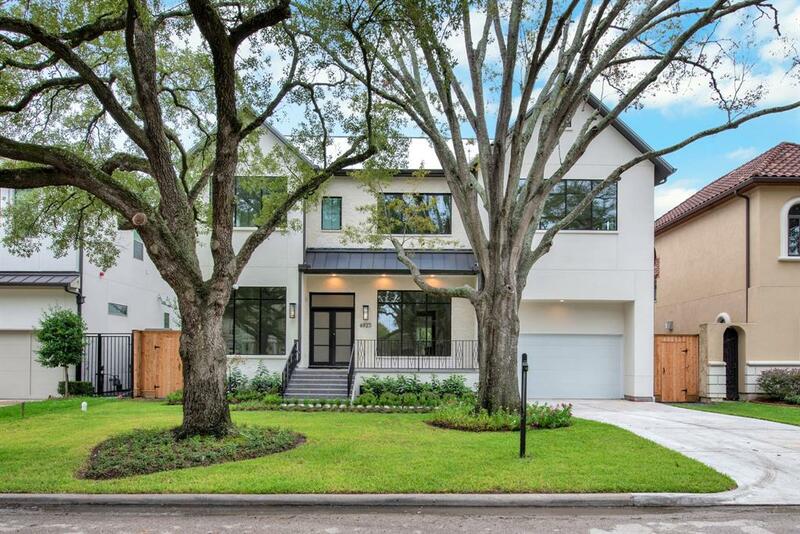 Exciting modern architecture by BuildFBG on one of the best streets in Bellaire! Open floor plan with bright painted brick exterior. Great living spaces upstairs and downstairs. 12' ceilings throughout first floor. Side-by-side media and study can be converted to giant downstairs bedroom. Subzero/Wolf appliances, covered outdoor living space. Optional pool design included. Contact us to customize plans and/or finishes. 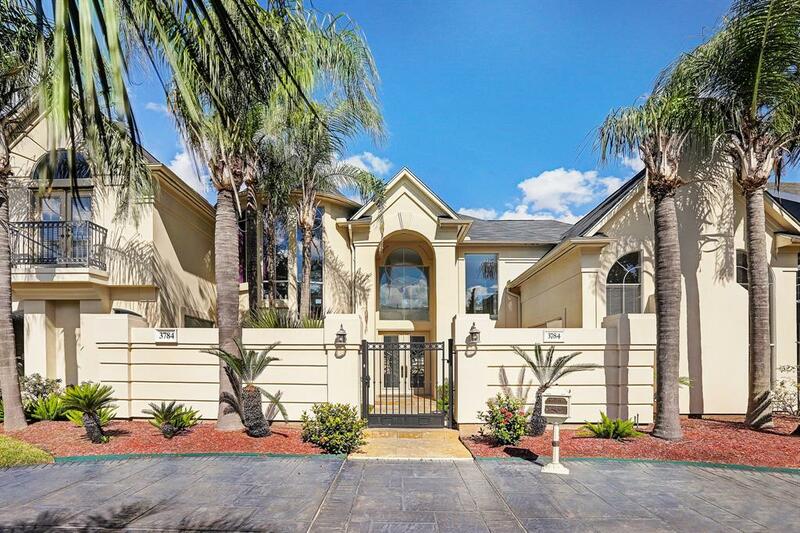 Stunning traditional home w/serene courtyard & fountain, grand foyer w/stone & wood inlay floors, formal dining/living rooms, spiral staircase, open great rm overlooks resort-like pool/lush yard & open to kitchen for optimal entertaining. 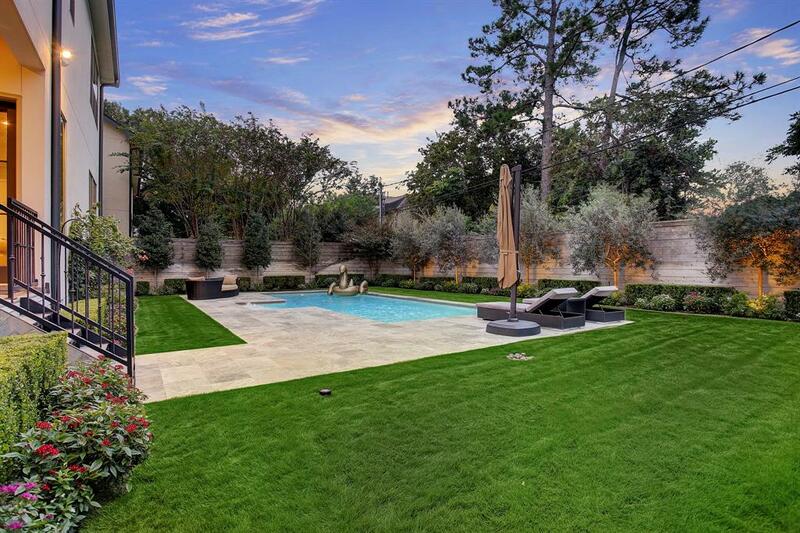 Elegant interior w/designer finishes, media/game rm, wet bar & wine grotto. Retreat to your spa-like master w/ his/her closets & WC's. All bedrooms have en-suite baths. Outdoor kitchen loggia. Mosquito repellent system, sprinkler system, elevator & generator. 24 hr advance notice for showing. Call Agent for Showing today! 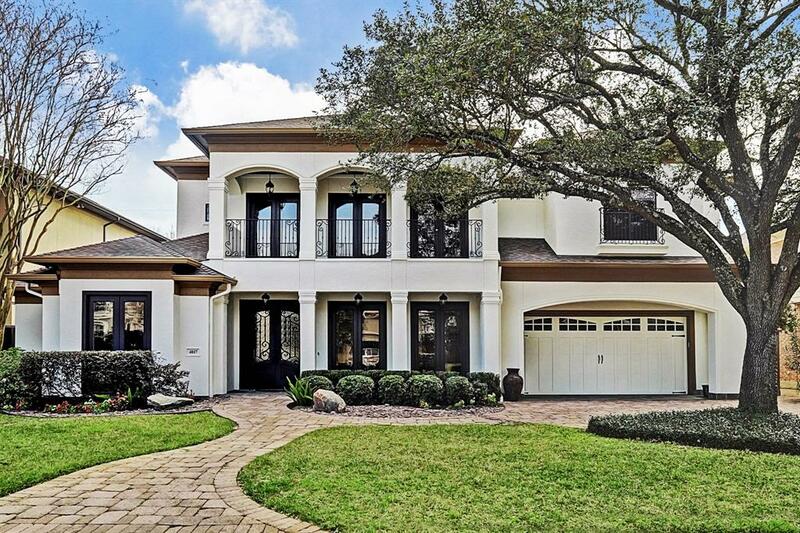 Gorgeous Mediterranean/Modern stucco home with tile roof in highly desirable Bellaire Oaks of Bellaire. Impressive gourmet/chef's kitchen with oversized island featuring Wolf and Subzero Appliances, big enough for entertaining large groups. Open kitchen overlooks spacious family room with fireplace surrounded by large windows. Dining room features impressive brick wall that connects to wine/wet bar and butler's pantry. Study down, as well as guest bedroom with full bathroom, with view of peaceful backyard large enough for a pool. Second floor offers a luxurious master bedroom with sitting area, massive master closet, elegant master bathroom with carrera marble throughout and large soaking bathtub; spacious game room accessible from second staircase; three large size bedrooms with en suite bathrooms. Covered patio with summer kitchen. Zoned to Exemplary Bellaire schools, and minutes from downtown, medical center and the Galleria Area. A must see! Don’t miss this Stacey Fine Homes beauty offering 5,962 SF (HCAD) sitting on 1/4 acre (10,800SF) lot (HCAD) in sought-after Bellaire! 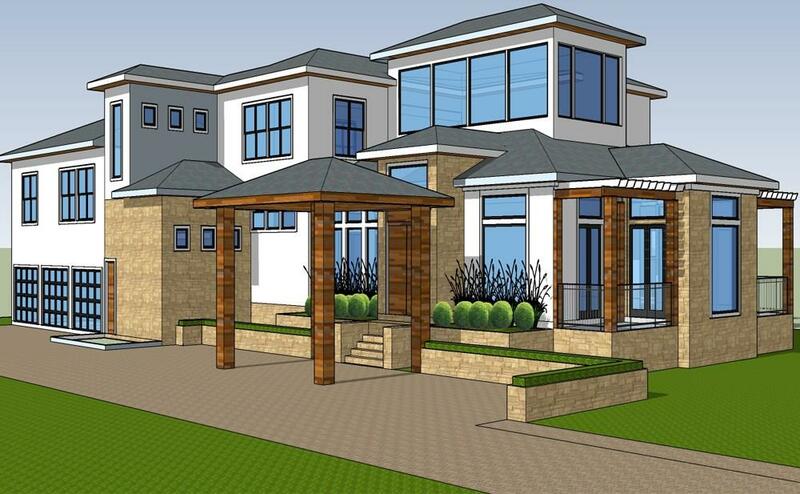 This home offers an amazing 1st floor master retreat with spa-like bath + huge closet. Formal living & dining + gentleman’s study greet you through the double door entry. A handsome wet bar sits near both formals, the kitchen & family room! The master bdrm, formal living, kitchen & family rooms boast butted glass windows w/views of the backyard. The 2nd floor has 3 or 4 bdrms, 3 baths, a huge game room + secondary study area, all accessible via the front or rear staircases! Special features: elevator capability, 34 solar panels, recent insulation, recent interior & exterior paint, 2014 roof, 2 on-demand tankless hot water heaters, electric car chargers, saltwater pool w/beach entrance, hot tub, mosquito system, summer kitchen, huge covered outdoor spaces, extra green space left for play, additional parking, & more! DID NOT FLOOD! All Info Per Seller.